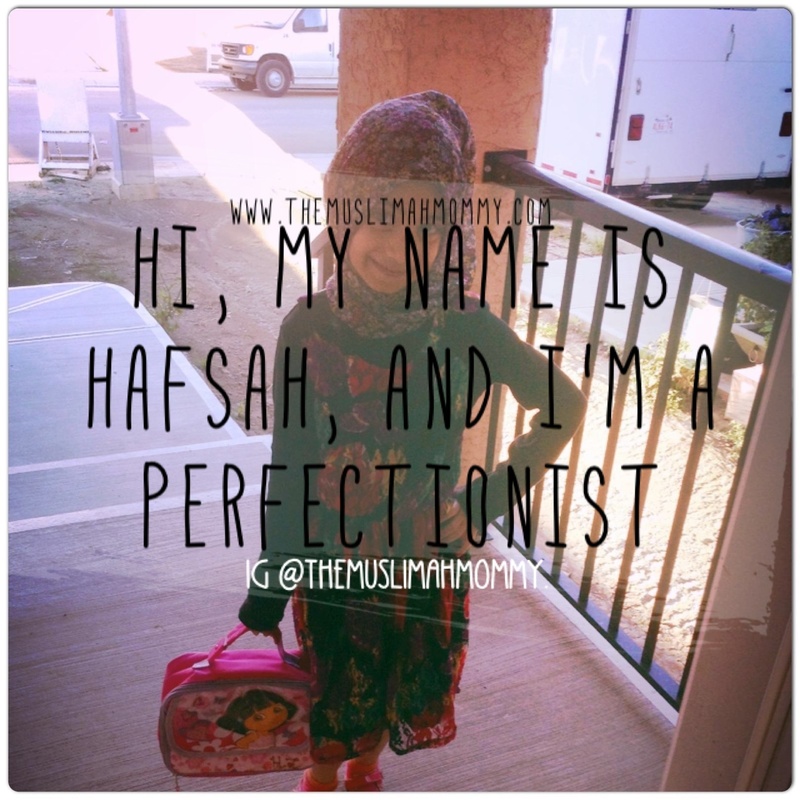 Hi, my name is Hafsah and I’m a perfectionist THIS is how my 6 year old should introduce herself! Before I go any further, just know that I love her, I really do. She’s super special and has the biggest heart. But, I’m not writing about her kindness today. Nope! Today, I will be discussing how she’s become THE ULTIMATE PERFECTIONIST! My lovely daughter has to have everything put back into the exact place between a specific time frame. What does that mean exactly? Oh, I’ll tell you what that means: it means when we come back from an exhausting day of being outside all day, and my baby and toddler are crying because they are too tired to do anything else, Hafsah will want me to help her unzip her dress as soon as we step into the door. In fact, she tells me this when we are in the car driving home. Then, she has to have me hang the dress up in her closet right away (she can’t reach the closet bar yet). Oh, it doesn’t stop there! It has to be hung on the EXACT same hanger, in the EXACT same order it was before she put it on. Oh, by the way my other two kids are attached to each of my legs at this point (no joke!). Her perfectionist also comes into play when it comes to having the house clean. She dislikes mess and she will express that on a daily basis. In fact, it’s quite common for her to ask me when I will vacuum. My response is usually “perhaps I will after I’m done washing the dishes, after your brother’s bath, and after the laundry is folded…so, it looks like tomorrow.” I always expect and receive a not-so-happy-with-that-response- glare with her piercing eyes that scare me into vacuuming that very moment! Her obsession with cleanliness doesn’t stop there: she has to change her shirt as soon as it gets a stain, and will refuse to sit on a chair that has a crumb on it. Yes that’s right, everything has to be clean and organized, and PERFECT! My daughters perfectionist is tough to handle at times, but I’m slowly learning to deal with it. Perhaps she gets it from her grandma? Lol, she sounds like a handful! Be careful! This might be OCD. Now it looks cute, but as time goes by it can get serious!